Comparing Broadband Just Got a Lot Easier! 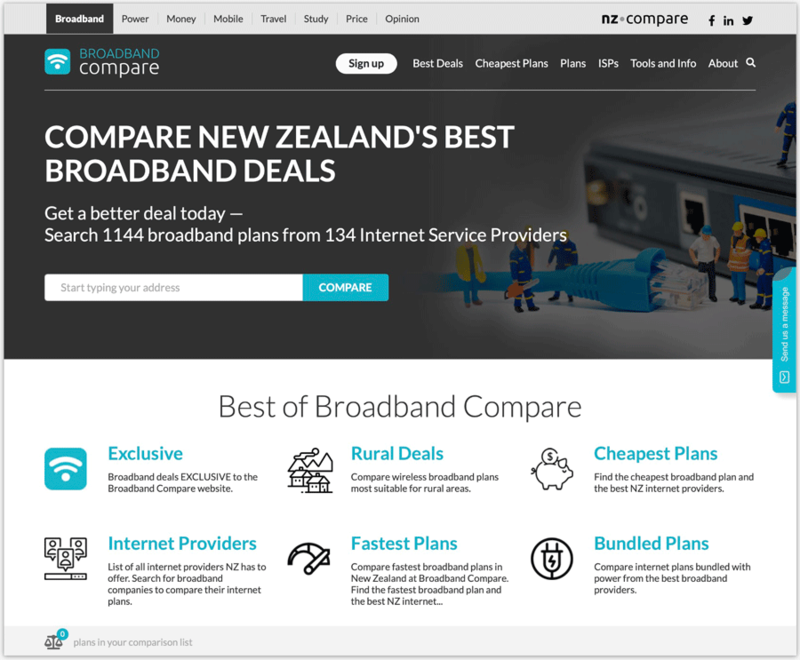 NZ Compare has revolutionised the world of broadband shopping with the launch of an updated version of their flagship website – Broadband Compare. The launch of the site is a game changer and marks the dawn of a new era for broadband shopping in New Zealand, at a peak time in the year for users signing up to new broadband plans. Since Broadband Compare’s launch mid-2016, the broadband market has continued to grow, and Kiwi customers are maturing in the way they use the internet at home for streaming services, gaming and connecting multiple devices. This is leading to many customers on legacy broadband plans overpaying for indifferent performance. Male says “Our goal is to make it easier than ever for New Zealanders to choose a broadband plan that suits how they use the internet at home, and make sure they save as much money as possible. Our new site includes some great new features for a stress-free experience. “We are partnering with more Internet Service Providers than ever, with over 1100 plans from 130 providers available to compare. 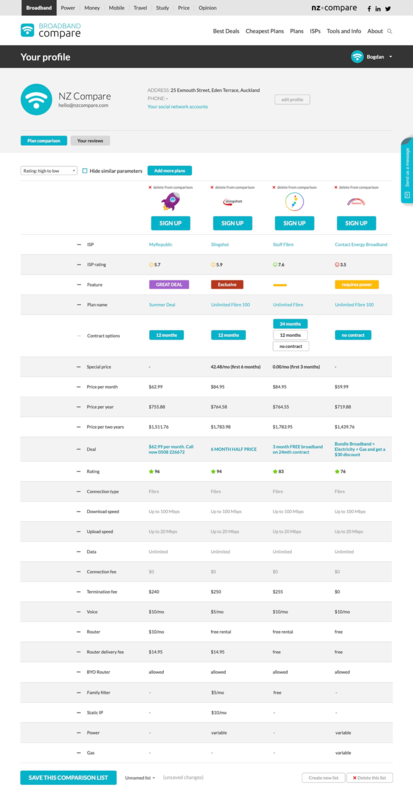 The new site allows users to save broadband plans to a shortlist and compare side-by-side so they can easily see the differences between each plan. Pick add-ons and features that are important to you, like Voice options, IP services, or include a new router, and see additional fees and connection fees up front. If you want to do more research or discuss with a family member you can save the options to a shortlist for later or share your shortlist online. NZ Compare’s role as an independent place to compare services from different providers and access independent customer reviews has been key to their development. New Zealanders are adopting comparison shopping in record numbers. In its first year, more than 300,000 New Zealanders used Broadband Compare to research broadband options. 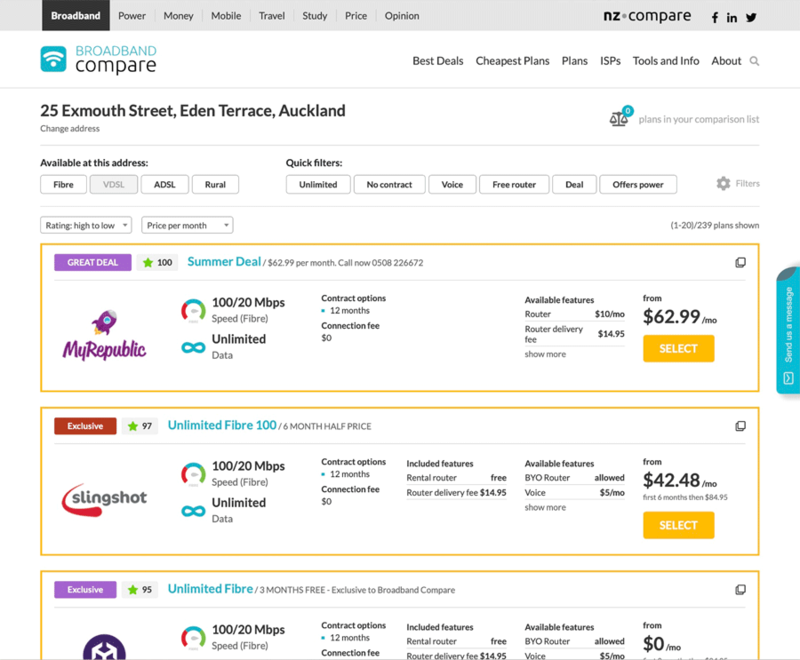 This has grown to 900,000 people in 2018 using NZ Compare services to compare services at Broadband Compare, Power Compare, Mobile Compare and Money Compare. Why wait? Check your address for a better, faster, cheaper broadband connection.